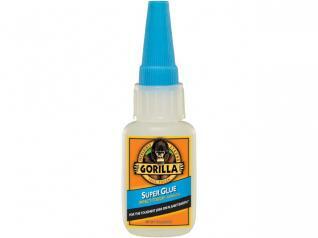 Gorilla brand super glue is less brittle than ordinary cyanoacrylate (CA) glue. It should be no surprise that Gorilla Glue, a relative newcomer to the adhesive market, has developed an instant glue. The new Gorilla brand Super Glue boasts an impact tough hold. Gorilla Glue adds rubber particles to the standard cyanoacrylate (CA) glue formula to increase the strength. Traditional CA glues grip quickly and tightly, but don’t provide much sheer strength. 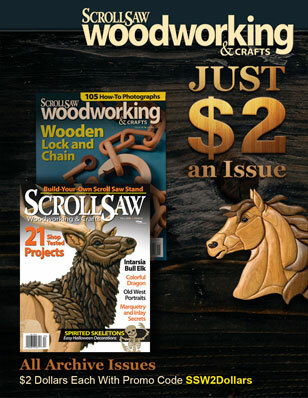 For scroll sawn projects, I usually use CA glue on fretwork pieces that fit together with tabs, or projects that are for display purposes only. 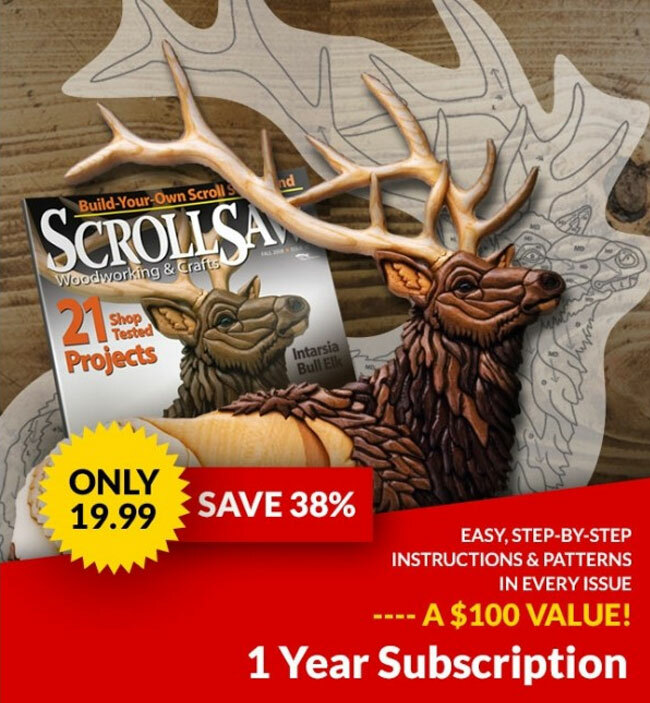 If the piece will be handled, I use wood glue. However, the new Gorilla brand Super Glue is very durable. The rubber particles transform the brittle CA glue into a flexible glue that is more like silicone glue (caulk). This can make the difference between a clock falling to pieces if it’s bumped off a table and one that just needs to be dusted off after a fall. Another complaint I have with most CA glues is that the nozzle clogs up long before I use all the glue. So I end up breaking open the tube (for the gel-style glues) or unscrewing the lid and applying the glue with a toothpick (for the thinner styles of glue). Gorilla Glue added a metal pin to the cap of their glue bottles. The pin forces the glue out of the tip of the nozzle, and keeps the nozzle from clogging. Gorilla’s gel version is much thicker than other gel-style super glues. The gel consistency does provide superior control, but if you are spreading it out over a large area, like along a joint, it can be hard to apply a consistent bead of glue. The container the gel-style comes in requires you to keep stopping to roll the tube up (think of a tube of toothpaste). I’d like to see a balance between the consistency and ease of use. I had no problems with Gorilla’s standard consistency CA glue. The .53 oz. bottle of super glue or the two pack of .11 oz. gel tubes each cost $4.99. The glues are available at most large retailers and home improvement centers.